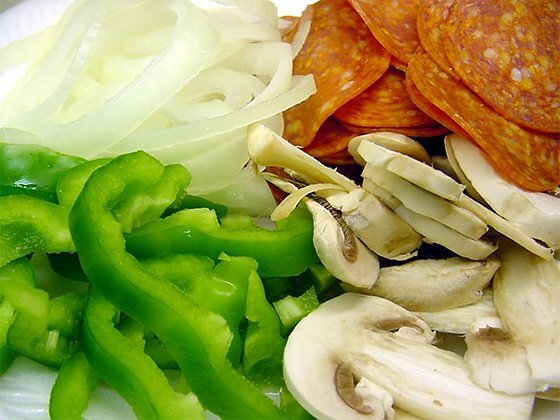 Preparing A Powerhouse Nutrition Pizza: Appetizing & Healthy! If you ask many people what their favorite food is—or what they typically choose to eat on their 'cheat day', they answer quickly with the word, pizza. Get the most out of your cheat day with these tips. If you ask many people what their favorite food is—or what they typically choose to eat on their 'cheat day', they answer quickly with the word, pizza. Pizza is a loved food by many and comes in a slew of different varieties. From thick crust, cheese infused crust, New Yorker style, thin n' crispy, to dessert pizza that puts a totally new twist on the meal, there is no shortage of options. All of these options however often spell trouble for your body fat levels since the typical piece can pack away anywhere from 200-800 calories depending on the variety. Obviously if you practice portion control and choose the lighter varieties out there you won't set yourself all that far back, but if you don't, those pizza meals will add additional padding to your body quickly. 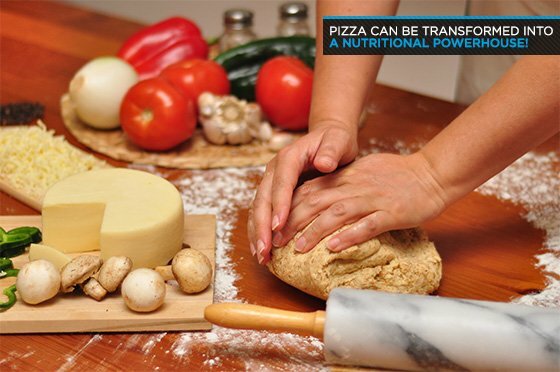 But, what if pizza could actually be transformed into a nutritional powerhouse—a food that only brought you closer to your goal? Well, it can. Whether you choose to create your own nutritionally smart pizza or you pay a visit to some of the healthier pizza eateries popping up such as Naked Pizza, this dish can cover over four food groups and fit in quite nicely to any training diet. The Naked Pizza franchise has started the trend of preparing pizza with health in mind. They start by using an all natural whole grain crust that is additive and preservative free and contains probiotics that help to increase the fiber content of the crust, and then they reduce the total calories of the slice by removing all the butter and sugar from the dough and sauce while using lower fat sources of cheese. All of these changes together combine to form a healthy meal, provided total portion size is still kept under control. If you're more into preparing your own dishes, then you'll probably rather cook your own pizza, which is perfectly fine as well. There are many ways to prepare a healthy pizza that will fit in your calorie budget. The first thing you need to consider when creating your pizza is what you will prepare the crust out of. There are a few different options for this. If you want a thicker crust, you can always form your own out of ingredients such as oatmeal, whole wheat flour, whole meal, and olive oil to replace any canola oil normally used. If you happen to be on a low carb diet, then you can prepare your own crust using flax seeds, eggs, and oil, allowing you to stick with this type of diet and still enjoy a slice of pizza. Typically homemade pizza crusts will be lower in calories than store-bought pizza crusts and you can also control the thickness based on how flat you make it. If you'd prefer something entirely different, another option for a crust is a pita that's been cut in half or a whole wheat soft tortilla shell. Both of these will be quick to bake and will give you a nice low-calorie crust to use. When it comes to selecting the pizza sauce you'll use, you want to opt for a lower sodium sauce if possible, or use something different entirely. Salsa can make for a good sauce and give a completely new taste to the pizza. Likewise, if you plan on using chicken meat on your pizza or canned fish, you may want to create a lower fat cream sauce using skim milk or fat free evaporated milk, low fat butter, light fat Parmesan cheese, and spices. Alternatively, if you have some other favorite sauce that you would like to try out - possibly a Teriyaki or Cajun sauce, feel free to experiment. There's nothing wrong from moving away from the traditional tomato based pizza style and creating something of your very own. Classic pizza standby's are things such as pepperoni, ham, ground beef, and cheese, but try and expand upon that to include some healthier varieties. Some people really enjoy putting flaked fish on their pizza, while others chop up a chicken breast and sprinkle that over the crust. Seafood is also another very healthy source of protein to use. Imitation crab meat actually works very well on pizza with a low-fat cream based sauce, or you can opt for the more popular option of placing shrimp over the sauce. After choosing your protein source, load up your pizza as high as you can with fresh, chopped vegetables, as that will keep calories low, the volume of food you get to eat high, and provide many essential vitamins and nutrients you need for overall health. Canned pineapple is also a good choice on pizza if you aren't watching your carbs too closely, as is canned mandarins depending on the exact type of pizza you're creating and the other toppings you've included. Finally you come to the cheese. This is what most people enjoy the most about their pizza but unfortunately one of the things that really ups the total fat and calories significantly. The first way to reduce the calories and fat here is to simply use a lighter hand while you sprinkle on your cheese, opting for a much thinner layer that just adds a bit of flavor. This is going to be the best option for those people who cannot really tolerate fat-free cheese and need the full fat variety. If that isn't you though, then select one of the fat free cheese varieties that are on the market. These are going to be a great source of calcium as well as protein, really rounding out the nutritional content of your pizza. Don't forget about ricotta cheese as well, as some people do like adding that to their pizza. Here's a quick recipe that's easy to prepare and offers high taste and nutrition. First begin mixing all of the dry ingredients for the crust in a large bowl. Next, add the water and oil, mixing until well blended. 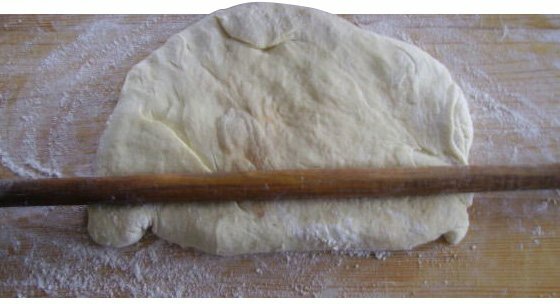 Use a rolling pin to roll the dough out on a counter top lightly dusted with flour until desired thickness and size has been reached. Next, move the flat pizza crust over to a sprayed pizza pan. After that's finished, smear on the pizza sauce of your choosing and add the meat and vegetable toppings. Finish with a light sprinkling of your preferred cheese and place in the oven to bake at 450 degrees F for 15-20 minutes until crust looks golden and cheese is melted. So, next time you have a craving for pizza but are trying to stick with your diet, don't be so quick to deny yourself. This is one dish that is easy to redo so it's much healthier and will work along with your goals.